Grant money is plentiful for those willing to do the work of finding it and completing the application process. There are grants for just about everything you can imagine - for women, men, tall, short, glasses, no glasses, scuba divers, rock climbers, flower arrangers, straight "A" students, struggling students, students with perfect attendance, children of war veterans, etc. There is absolutely no excuse to not partake of the available grant funding. Everybody likes free money. Unfortunately, it’s not always easy to find it. However, by applying for federal grants from the United States government, you can improve your chances of receiving money that you never actually have to pay back. 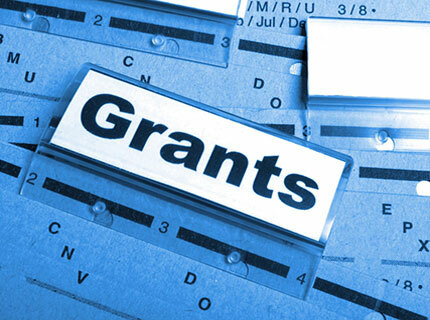 There are several different types of grants. Research-based grants, single parent grants, and other such awards are common. However, most grants are designed specifically for students. Finding the right grant is not as difficult as some people think. There are many websites that sort through grants based on categories, personal affiliations, groups, or the type of school that you’re attending. The federal government and other organizations like to help people find a new career. For that reason, they offer a number of unique grants based on the program that you are attending. For example, somebody who is going to trade school can apply for grants based on financial need. Or, if you are in a particular minority group, or have a disability, there are a number of grants that cater to your needs as well. And, since women are a minority in many trade and vocational schools, some grants will reward women for choosing the path less travelled. Career-based grants are available from federal and state governments, the trade college that you are attending, or from various community organizations. Being part of a minority group has its benefits. Special grants are available to Native Americans, Hispanics, and African-Americans (among other groups). These grants are often used to help pay for education, and could be the difference between somebody attending college, or dropping out due to budget constraints. They are available from a number of different organizations, including the federal government, community groups, and educational institutions. One of the most popular grants for minorities is the Gates Millennium Scholarship, which provides financial assistance based on maintaining a GPA of 3.3, along with several other requirements. The CIA also offers a grant program that allows Asian, African-American, Hispanic, Native American, and Pacific Islander students to spend their summers working for the agency. There are many organizations that like to help people out during a time of need. And, best of all, you don’t necessarily have to be from a minority group to be eligible. These kinds of grants come with very few strings attached, and, unlike loans, will never have to be repaid. This is an enormous benefit to those people who are considering going to school, but would never be able to afford it on their own. Through the grant system, a college degree becomes a realistic possibility. Many financial need based grants come from the federal government, and are usually awarded based on the information you provide in your Free Application for Federal Student Aid (FAFSA). The popular Pell Grant, for example, is awarded to students whose family income is less than $50,000 per year. However, it quite often goes to students whose families have an annual income lower than $20,000. Depending on the scale of the grant and your financial need, these grants can help cover a significant portion of the costs of education. If you feel like you don’t fall into any of the categories listed above, then don’t give up hope just yet. Grants come in all shapes and sizes, and sometimes all you have to do is ask. Check with your local, state, or federal government to see if they have any grants available for people in your situation. Ultimately, the goal of these grants is to provide everybody with the education that they need and deserve. With that in mind, apply for every grant that you can find: you never know which one will choose you. Millions of dollars in grant funding goes unclaimed each year. People have paid for their entire education with grant funds - both undergraduate and post-graduate studies. Get grants information delivered directly to your inbox.